Use this link to subscribe to our weekly columns. 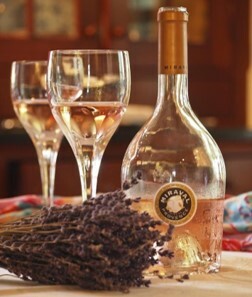 PAON Carlsbad has Try Before you Buy Events for their Wine Club. 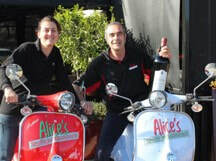 This week's article covers the recent Family Winemakers of California show at Del Mar Fairgrounds. Taste of Wine and Food Frank and Rico enjoyed many wines from local to Paso Robles and Napa Valley. 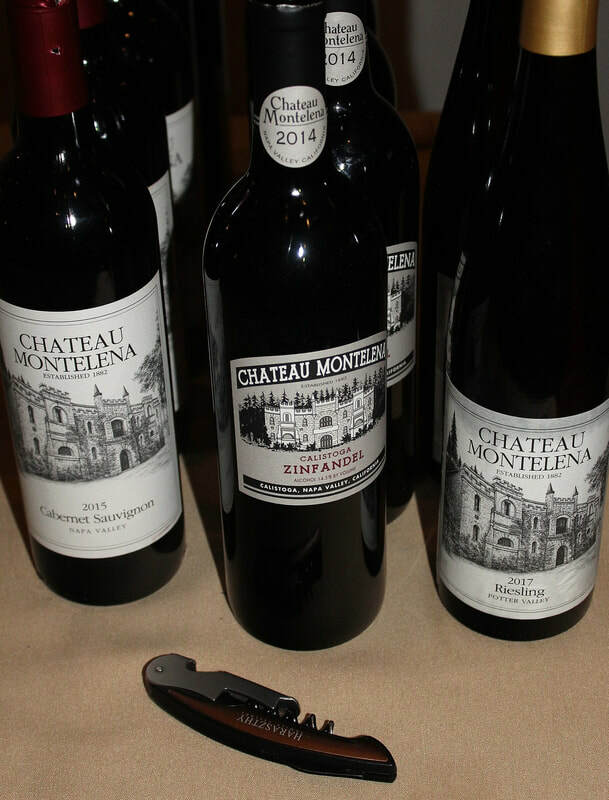 This week we feature Chateau Montelena in San Diego at West End Bar and Kitchen, Acre Zinfandel, Paso Wine Festival May 17, Walla Walla wines including Leonetti Cellars and LeCole. Ramona handmade Cheese from the Cave comes to Vista urban winery 2Plank Vineyards. Caymus 2015 Special Selection is now avail. 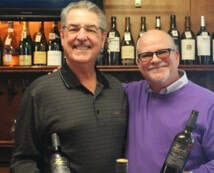 And of course Wine Bytes - Charthouse Cardiff, Lorimar Winery, Europa Village, Gianni Buonomo Maestrale launch party 4/20. The first few months of 2019 saw more expansion of urban wine bars, catalysts for growth and increased interest in older communities. Highlights included a discovery of the legendary Opus One on a wines-by-the-glass menu, a new pizza and pasta place run by a chef who was part of the longest pizza ever made and the return of Family Winemakers of California to the San Diego Fairgrounds with many wineries from Paso Robles. We have 3 such wineries on our Top Ten. All our wines are equal in excellence and are listed in alphabetical order with varied pricing to fit most any budget. 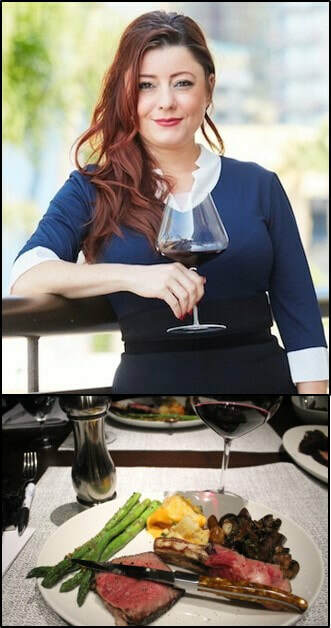 If you really enjoy comparing and tasting wines, you have to be at Vin Diego, the one all-wine festival in Southern California, Saturday April 13, at its all-new location at Waterfront Park, Harbor Drive at the Embarcadero in San Diego, starting at 3pm. Adam Carruth is taking his Carruth Cellars Urban Winery on the right track, offering a wine experience unlike any other in the San Diego region. 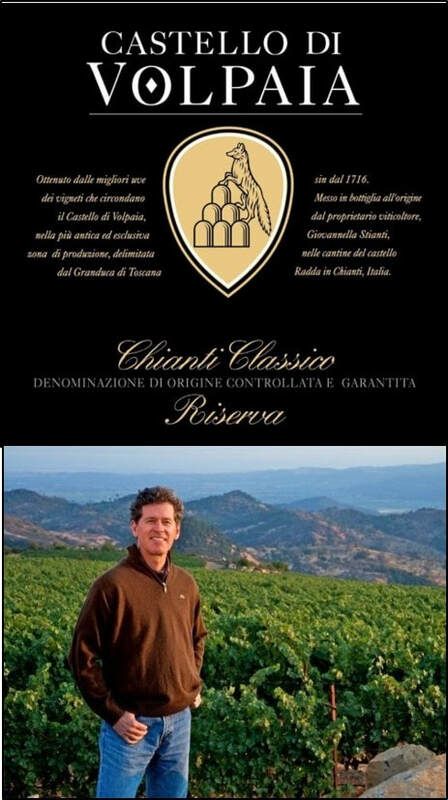 In a short time, he now offers Gold Medal award winning wines from the most prestigious and respected competitions. In the middle of San Diego’s coolest beach community sits the consummate, perfect-fit for an urban winery and tasting room – Gianni Buonomo. Ocean Beach is a colorful collection of character studies, and it’s home to a star group of high quality wines, mostly old world and mostly sourced from the great wine country of Washington. 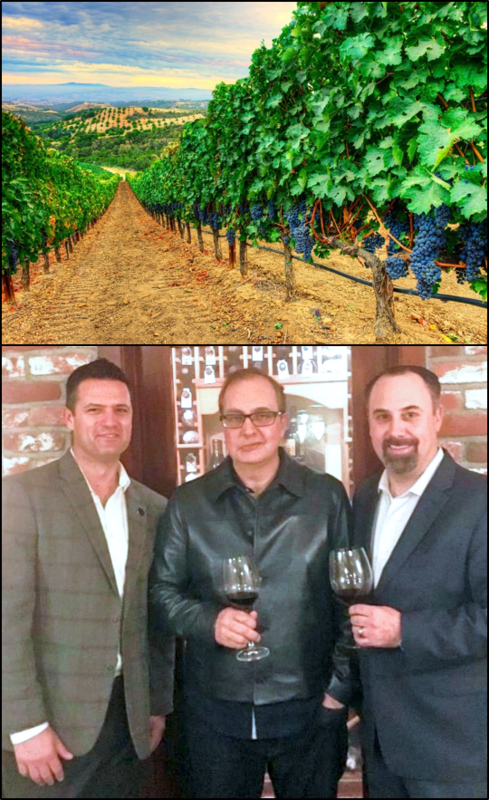 Taste of Wine and Food (3/10/2019): Markham Merlot Sails on at Seasalt: Sal Ercolano, owner at Seasalt and now West End, knows what wine is the right time for a full house. Take the Napa Valley Markham 2016 Merlot ($25.) that spotlighted the most recent wine dinner at Seasalt. As part of the membership of the world renowned U.S. Pizza Team, he was one of the central “pizziaolos” in the World Pizza Championships held mostly in Parma Italy. He was also a team player in the Guinness World book of records that built the longest pizza in the world, a reported 1,930.39 meters (approximately 6,333.28 feet) on June 10, 2017. ​​Download full article at above link. ​Download full article at above link. 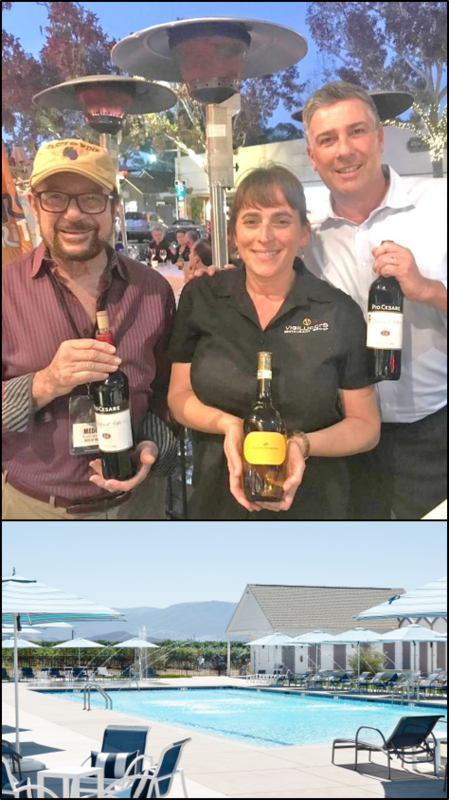 A festive atmosphere of anticipation was a sure bet for the expected full house on news that Niner Wine Estates of Paso Robles was making another visit to Firenze Trattoria in Encinitas. in Paso Robles and the Edna Valley in the Central Coast of California. 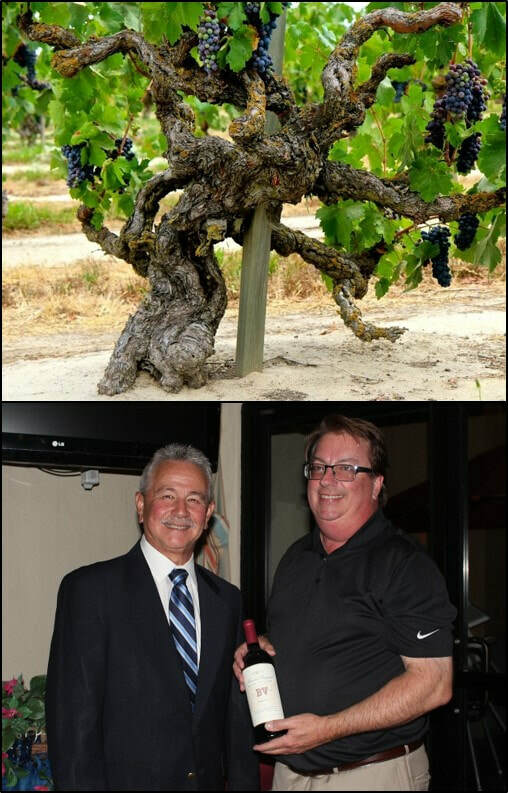 In the beginning, after a comprehensive search, founders Richard and Pam Niner established Niner Wine Estates in 2001. They expanded and built a first class tasting room and winery facilities over the next decade. Their son Andy Niner is now CEO and President, managing the operation. The winery is known for its estate-only production of Cabernet Sauvignon, Pinot Noir, and Chardonnay, as well as a signature blend, Fogcatcher. Last week we introduced our readers and viewers to “The Most Romantic Wine in the World,” a lovely sparking wine, the Rosa Regale from Banfi in Italy. We recommended it for what is my special celebratory holiday, Valentine’s Day February 14. Although this is not a legal holiday, it is more a celebration of our humanity and love for one another. Download full article at above link. If I had just one wish in my lifetime it would be that the calendar begins with the month of February and not January. 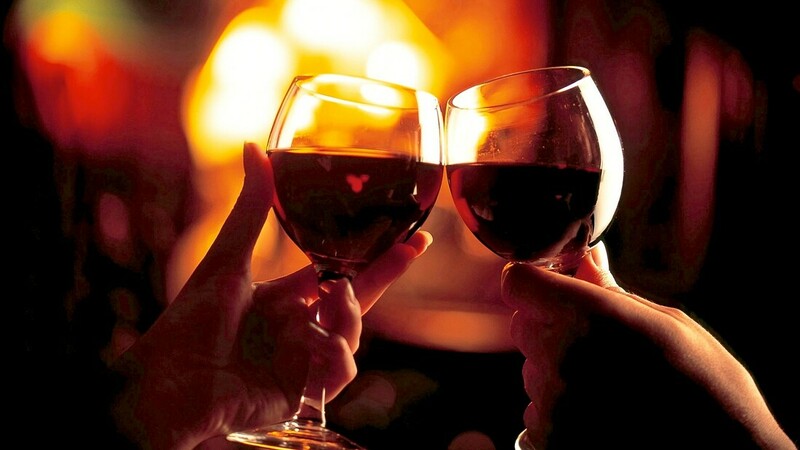 This way the New Year would begin with Valentines Day: romance, flowers, dining out and wine. A dramatic dining delight has come to San Diego. 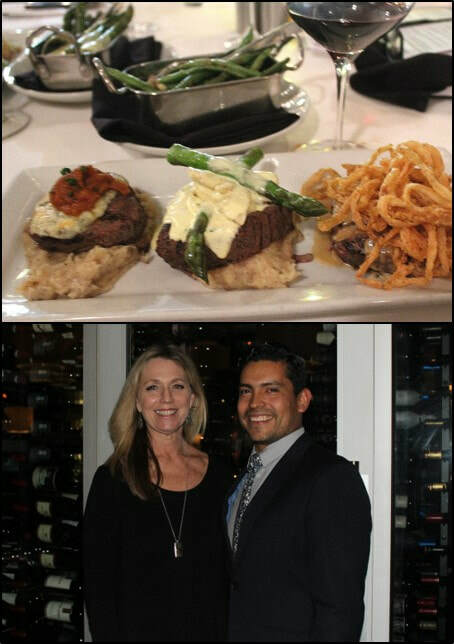 It’s the first west coast location for Del Frisco’s Double Eagle Steakhouse, the nationally acclaimed restaurant with a tasty looking waterfront panoramic view in the Embarcadero District. Del Frisco’s brings sophisticated class, always welcome in “America’s Finest City.” It spotlights a big, bold menu spearheaded by prime beef, with flavors that expand the tasting experience. We’ll get to our menu selections further into the column. 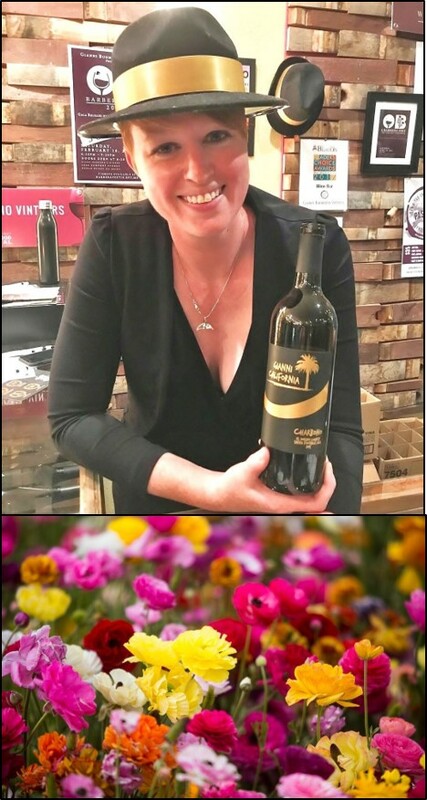 What attracted me was the nationally acclaimed wine selections, created by Wine Director Faith Fulginiti. You get instant evidence that this is not your father’s wine cellar, when you ascend a staircase of Italian marble steps with glass walls on either side, housing more than 7,000 bottles of temperature-controlled wine, to enter the dining room. This creates a wine display visible from almost every seat. It’s been quite a year covering the wine world in 2018. 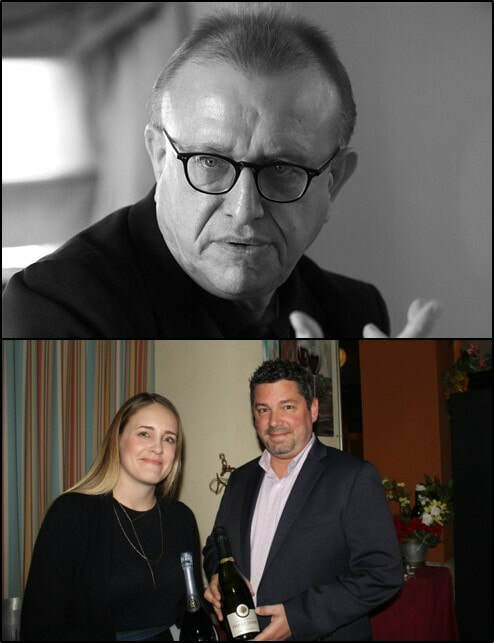 Foremost in our celebratory tone this year for the column is the leap from fine wine to fine wine and fine food, with the appointment of Rico Cassoni to lead the cross-over with his consulting skills. He’s a Professor of Technology at MiraCosta College in Oceanside. He wasted no time in bringing our operation to world-class contemporary communication in Social Media. 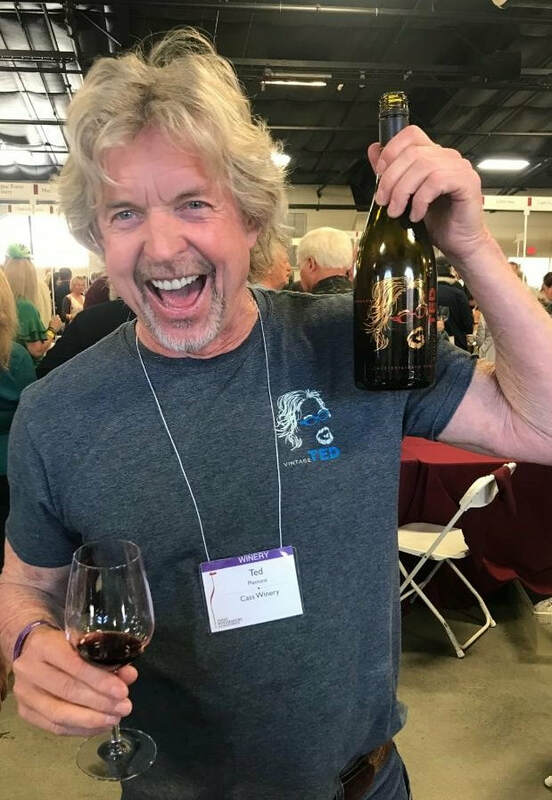 Close to 3,000 wines were tasted with the resultant exciting list of Top Ten Tastes including 5 from Napa Valley, and 1 each from Sonoma, San Diego, Italy, Monterey and Paso Robles. You have to do your homework with Italian wines. With each year there is an inconsistency in quality. They can be very good or very bad depending on what mother nature has presented to winemakers at harvest time. California has the most consistent weather conditions of any country. Even the most disappointing of recent vintages in California, the 2011, showed well in some varietals as select winemakers worked hard to get the maximum out of the harvest. But countries like Italy every so often contend with a headache called Mistral, a hurricane-like weather condition that can roar in from the north and virtually destroy crops. Reputable wineries have been known to plough under their grapes at harvest rather than bottle a bad vintage. 2015 had no such problem. 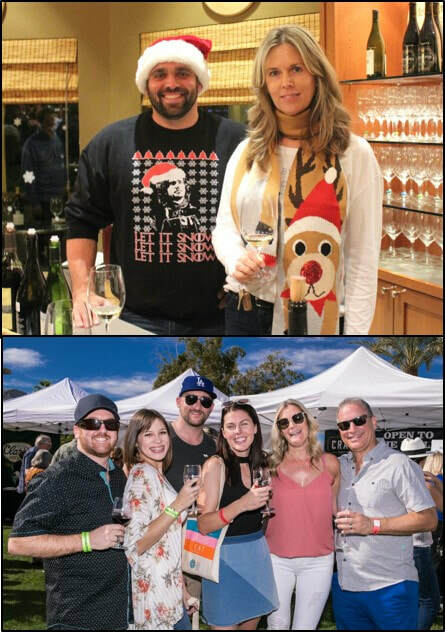 ​With key help from the Riboli Family of San Antonio Winery of Los Angeles, PAON Restaurant, Wine Bar & Wine Shop in Carlsbad staged a sold-out holiday party & Wine Warehouse sale earlier this month. 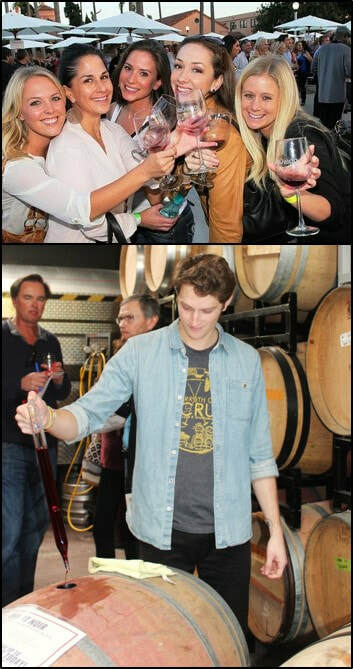 Taste of Wine and Food was the media partner in the event, which featured 5 areas of wine tasting where wine club members mixed and matched with the public and members of the trade. The Boys and Girls Club of Carlsbad was the benefactor of a Silent Auction... Download full article at above link. Off to the west of the 101, in the Adelaida District of Paso Robles, about a half day journey or so on the road from north San Diego, stands a solitary mountain of some 2,300 feet, producing magnificent Cabernet Sauvignon. Everything about this mountain is so right for the highest quality Cabernet. 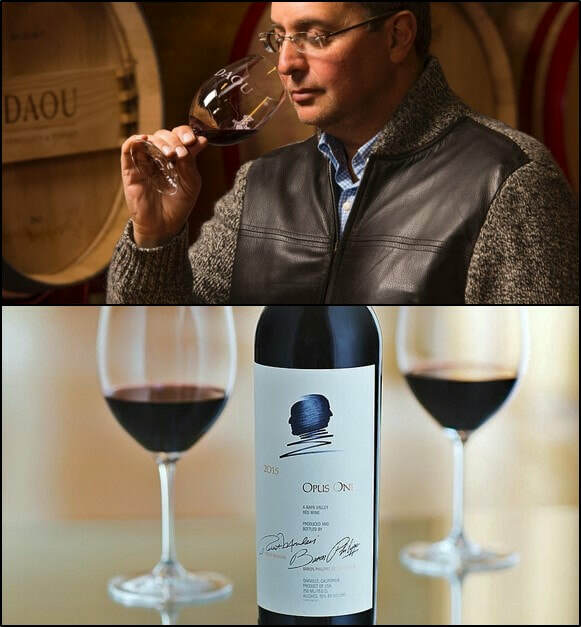 When the brother team of Georges and Daniel Daou staked their claim after growing up in France with a love of wine, then achieving great success in America in academics and in the tech world, the dream of DAOU Mountain turned into the discovery of a lifetime... Download full article at above link. The new Westin Hotel in Carlsbad, part of a corridor of resort hotels and dining just up the street from Legoland, can now offer an exciting fine wine and dining restaurant, 20/Twenty, in a classic new experience. The newly appointed 20/Twenty compliments the upscale appointments of the Westin. Casual elements of the restaurant’s menu form the major components of the newly created Mile 7 Kitchen, for the Sheraton Hotel, now just a short walk from the Westin. Distinguished dining, a team of committed professionals, a new wine preservation system and a prix fixe menu full of value and upscale wines. 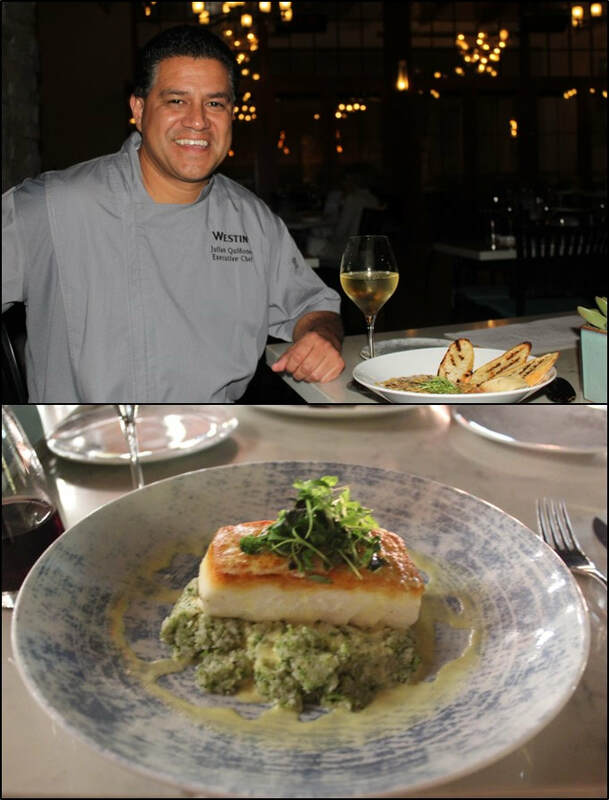 You can expect all that and more, when you dine at The Med, a living room atmosphere with a fine dining experience, just inside the historic La Valencia Resort & Spa in La Jolla’s seaside restaurant row. The Executive Chef for La Valencia is Alex Emery, who has devoted the last two and a half years toward growing the menu of The Med. 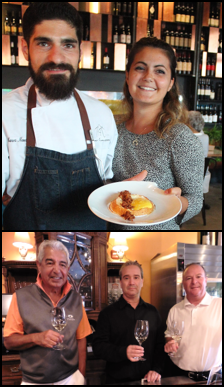 “Our current projects include a new Brunch with a multitude of delicious choices. Emery also pointed out that “our banquet business is growing nicely. 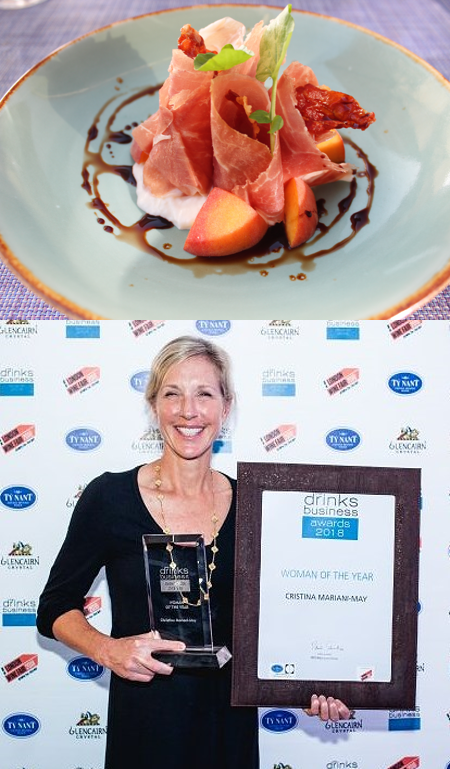 We put a lot of time into make sure that a banquet meal is equal in quality to an individual meal in the dining room.”.. The most distinguished honor roll of wines for 2018, the Top 100 from Wine Spectator, has been revealed and the #1wine in the world is (drum roll) the 2015 TENUTA SAN GUIDO SASSICAIA ($245. at the winery). With Thanksgiving in the air, my e mail in-box loads up with Thanksgiving wine and food options to capture the flavor of this feel good holiday. 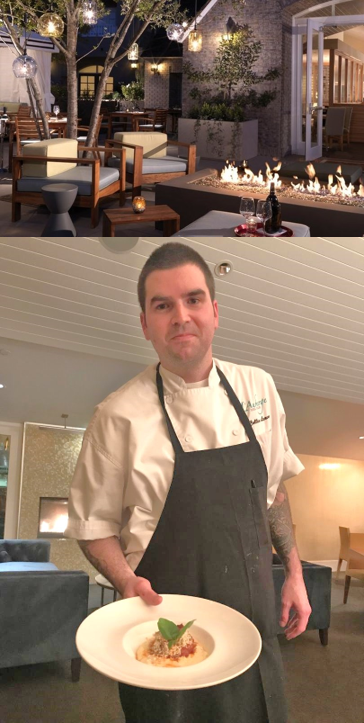 Chef de Cuisine Collin Leaver has brought a wealth of top-drawer culinary experiences with him from San Francisco, New York and Naples Italy. His pasta ensemble dishes are artistic triumphs. He served as Executive Sous Chef at Quattro Four Seasons in Palo Alto, Chef de Cuisine at A16 in San Francisco and is a Certified Pizzaiolo by Associazione Verace Pizza Napoletana in Italy. pastas with a country style focus are already gracing the menu, led by a beautifully styled Mezze Rigatoni seated on a Swordfish base with Caper Lemon and San Marzano tomatoes with bread crumbs and Oregano. California’s harvest is winding down into November, with the rich-bodied reds just being crushed and fermented. The excitement is building as it’s being labeled a great harvest with a substantial increase in production over 2017. Napa Valley will be just 4% of the total California harvest. However, Napa Valley will account for 50% of the value of all California wines sold. You can’t get any better California wine than the historic brands at Caymus Vineyards in Napa Valley. It’s better known in winery circles as the Wagner Family of Wines, named after the iconic family that founded what is known as Caymus. Chuck Wagner, along with his parents, founded Caymus in 1971. A what? When I first saw this description, I had to pause and refresh, with a glass of one of their select red wines at the opening last month of Amici’s in the Carmel Valley district of San Diego. 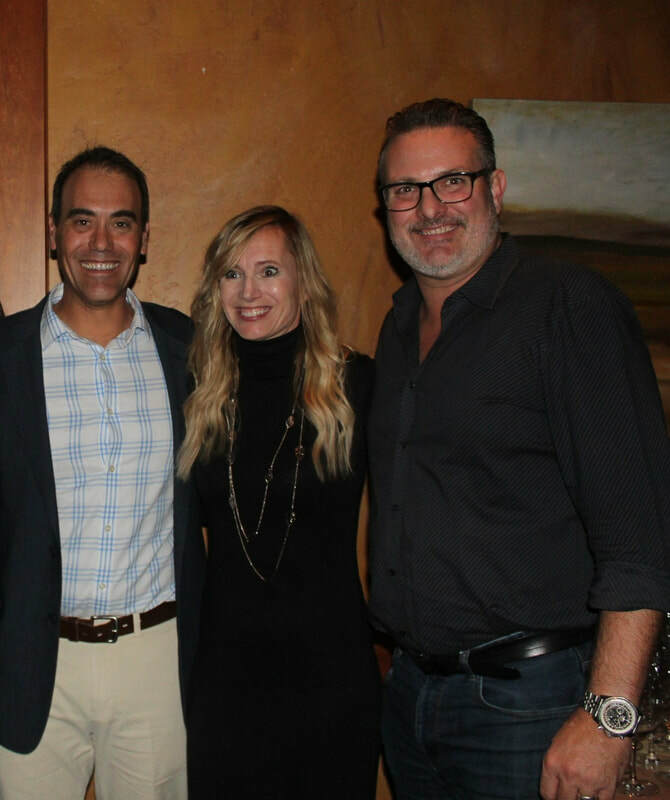 Once again, winemakers have come through for worthy causes, providing them with the resources to raise funds for direct support for needy members of our community. One of my favorites is the annual Make A Wish benefit in San Diego and Imperial counties, through the annual live and silent auctions in one gala evening at the Omni La Costa Resort in Carlsbad. 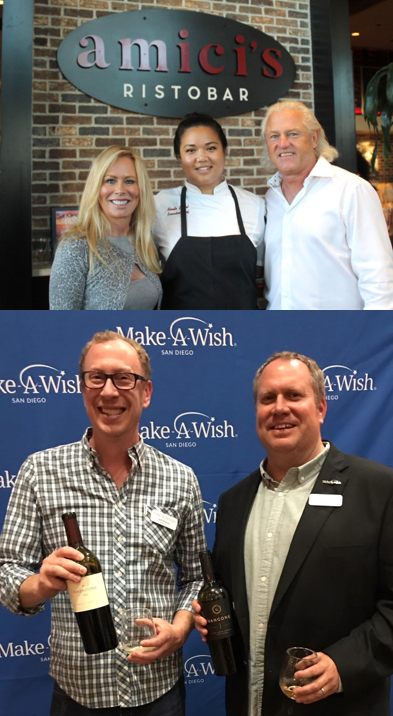 “Wine and Wishes” helps funding for the Make-a-Wish Foundation, creating life-changing wishes for children with critical illnesses. ​A step inside the door of the one-of-a-kind Vigilucci’s Gourmet Market in Carlsbad Village offers you 5 ways to enjoy Italian style dining. First thing you’ll notice is the deli section with fresh scents of cheeses, sliced meats, garlic, olive oil and a host of menu items blended with the Vigilucci style of Bolognese sauces. Then your eyes will light up at the significant inventory of Italian and other wines, almost everywhere you look. 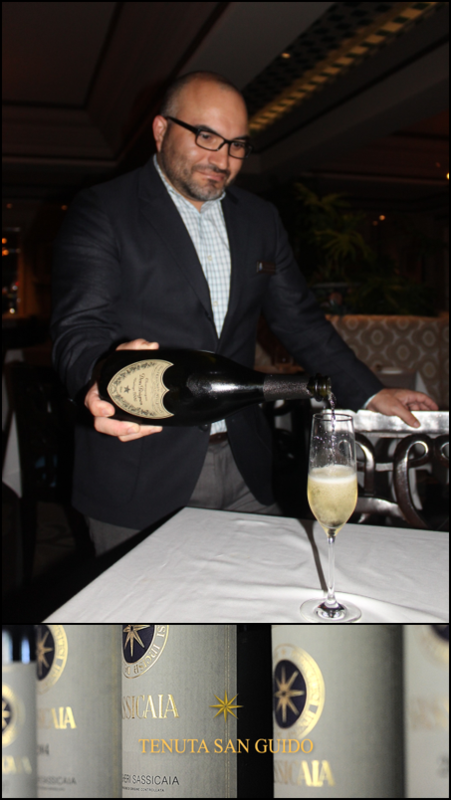 Lately, the buzz around the wine beat in the San Diego district has been the head-turning performance of Seasalt Seafood and Steak of Del Mar in bringing in premium wineries to match up with Chef Hilario who always provides 6 course food pleasure. About 5 years ago, a friend of a friend urged me to try the wines of the “new guy” in town who had a few varietals with wine grapes from Washington state, with the quaint name of Gianni Bunomo (means good man in Italian). 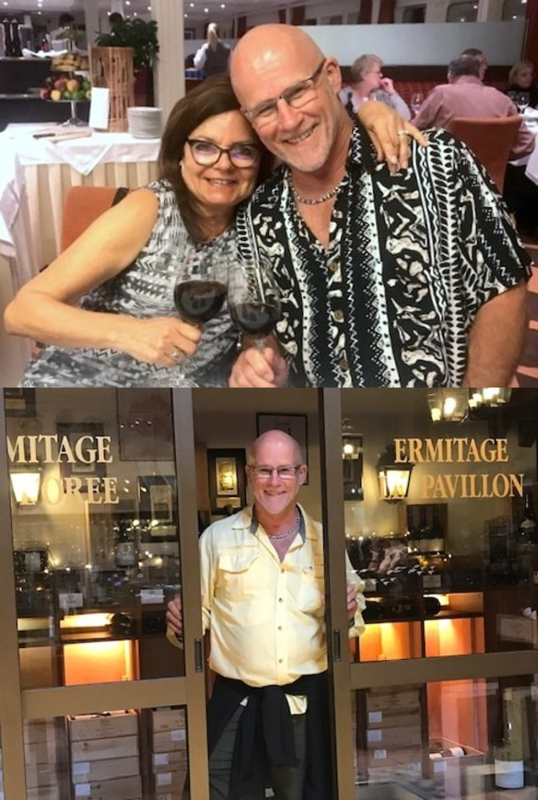 Our group tasted the wines including a Sangiovese, but the prevailing feeling was that he can’t get to first base…he was a new kid with a few cases of wine, a story we had heard many times over. How wrong we were. Keith Rolle learned well in the fields of Washington state. Fast forward to last year, and Gianni Buonomo, after gutting it out, opens its urban winery in San Diego’s Ocean Beach, next to Belching Beaver and Hodad’s, 2 surfing hangouts on colorful Newport Avenue. The Newport Beach Wine & Food happens from Oct. 5 to 7 for the 5th year. This is a lovely, upscale deluxe event with VIP chef dinners, Food Network & Bravo’s top chefs and Grand Tastings on Sat. Oct. 6 and Sun. Oct. 7. from 2:30 to 6:30pm. with a VIP ticket. 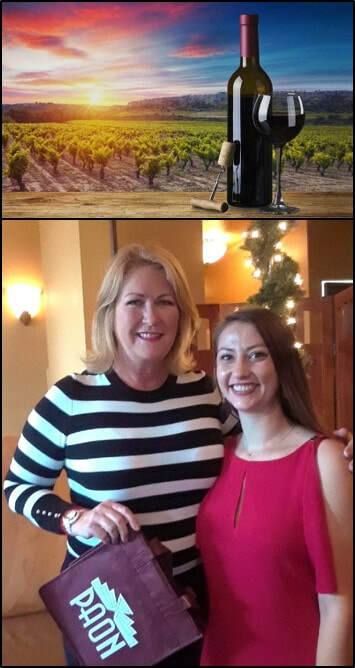 Taste of Wine and Food (7/29/2018): Part 3 – the Wineries of Napa & Sonoma – the Last Dance - For the last couple of columns, TASTE OF WINE has been sharing our special experiences in Napa Valley. 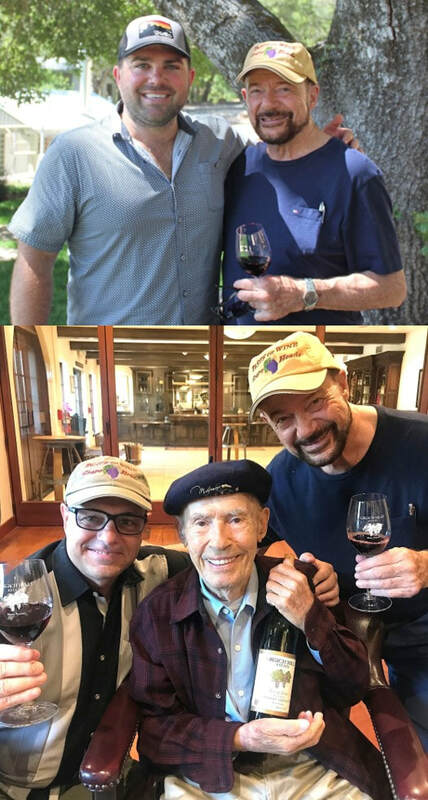 In Part 3, we finalize this wine journey with visits to Rombauer and Silver Oak in Napa, then over to Sonoma for a reunion with Jordan Vineyard and Winery. “Paradiso” is Italian for Paradise and that in itself would be all you need to know about Napa Valley. But this is a column, so I have a lot more to say about “Paradiso” and why I chose this description at this point in time. Our marching orders were nothing less than premium wineries in Napa Valley and Sonoma. 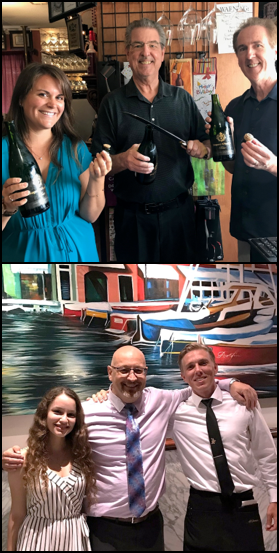 It was our joy of accomplishment, after conferring with and tasting the wines of 8 great properties over 4 glorious days recently, that we could conclude that it was mission accomplished.​.. The bounty of fine wine is never more evident than in our top ten wines. Up and down the price ladder it’s all about flavor, value, quality, cost and availability. The first 6 months of 2018 came in with a blowout birthday for me in front of 26 friends and family at Vigilucci’s in Carlsbad and wound up on the shelf with a blown vertebrae disc. That’s how fortunes change in life, and in wine. This time around we have: 3 red blends, 1 Pinot Noir, 1 Zinfandel, 1 Cabernet Sauvignon, 1 Chardonnay, 1 Malbec, 1 Shiraz, and 1 Gewurztraminer. Want a previous column that you do not see, email us and we will get it to you.